The media and GOP establishment has worked overtime this week to tie Donald Trump toe the Ku Klux Klan – something that would be humorous if it wasn’t so offensive especially coming from candidates Ted Cruz and Marco Rubio. 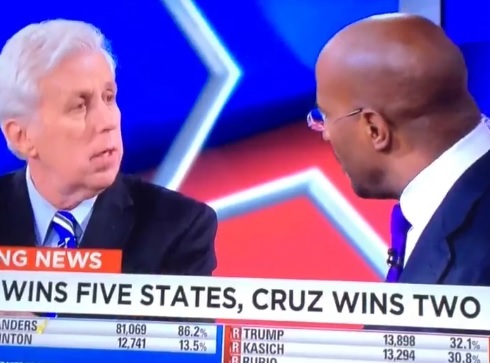 Tonight race-baiter Van Jones tried to play the KKK card during his segment with Jeffrey Lord, a Donald Trump supporter. Lord stopped Jones in his tracks by reminding the former community organizer that the KKK was an offshoot of the Democrat Party and pursued the radical progressive agenda.